Spice Rub- 3 tablespoons olive oil, 1 tablespoon Worcestershire sauce, 1 tablespoon white cider vinegar, 1 tablespoon each of chili powder, cumin, onion powder, garlic powder, fennel seeds, salt and pepper. 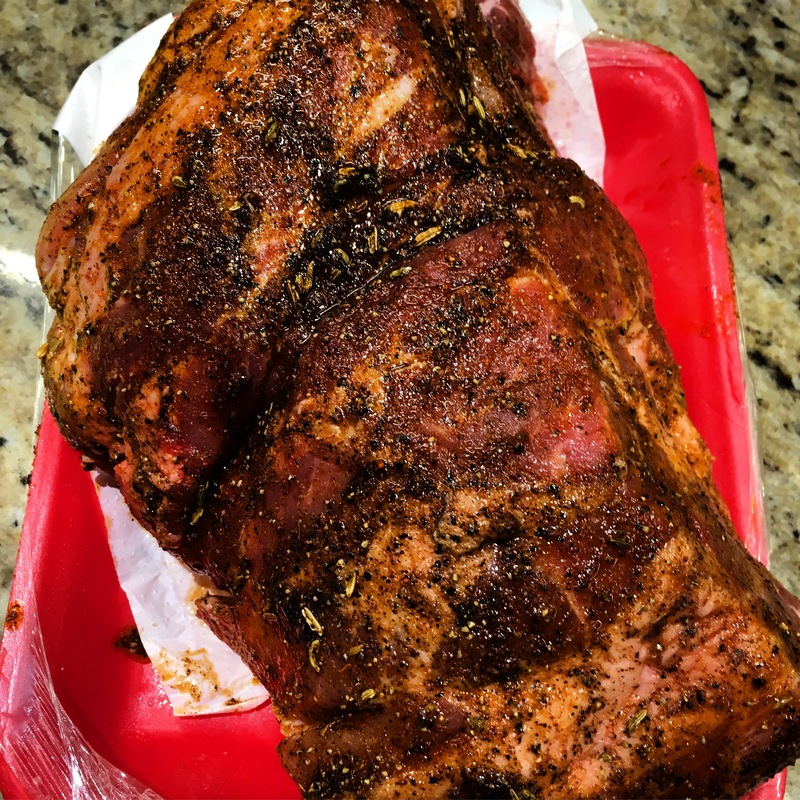 I massaged the pork all over with the rub and let sit for about 30 minutes (the longer the better). I heated up my dutch oven on high and added a few tablespoons of olive oil. Then I browned all sided of the pork shoulder. After that, I added in 2 beers and 1 small container of beef broth. I turned the heat down to medium low and let cook for 6 hours. This would be awesome in a crockpot as a weekday meal! First meal was BBQ Sandwiches. Success! Meal 2- Pork enchiladas You can never go wrong with enchiladas!